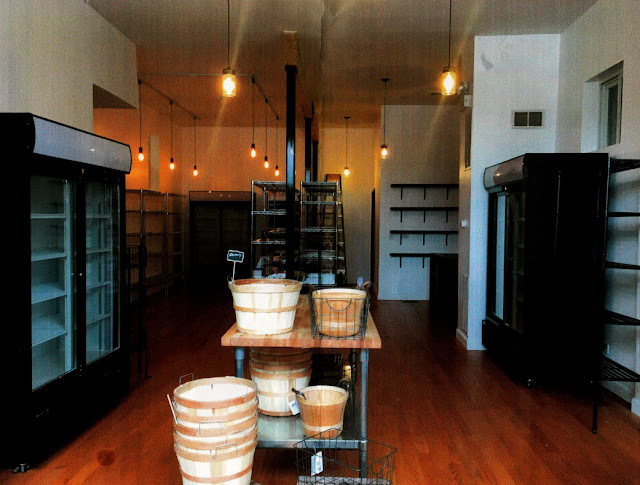 Market Select prepares to stock its shelves at 912 N. Ashland. Market Select, a grocery at 912 N. Ashland Ave., plans to sell beer and wine, and is asking East Village Assocation members Monday to support lifting the freeze on Ashland Avenue packaged-goods liquor licenses. EVA has proposed a Plan of Operation limiting liquor sales volume and ruling out malt liquor and fortified wine sales. The plan is based on the Garden Gourmet plan negotiated with EVA in 2013. Ald. Proco Joe Moreno (1st Ward), who must recommend the license, backs liquor restrictions to replace the moratorium. EVA members will also discuss a restaurant proposal for 820 N. Damen. Ald. Brian Hopkins (2nd Ward) will hold a community meeting Aug. 10 on the Shake-It restaurant. Its boozy milkshake menu would require a liquor license. The operator Forward Entertainment Group has submitted floor plans and development details. A rendering for the Shake-It restaurant proposed at 820 N. Damen.